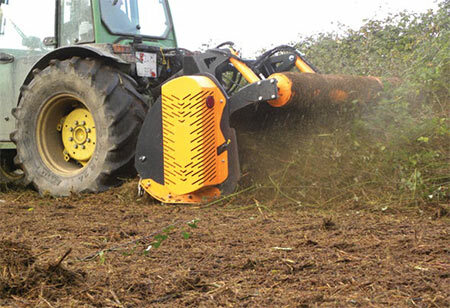 UM-Series is the toughest built, most versatile mulching mower available today! It can mow and mulch the most difficult material leaving a smooth finished surface. Ideal for general mowing, mulching prunings, and branches. 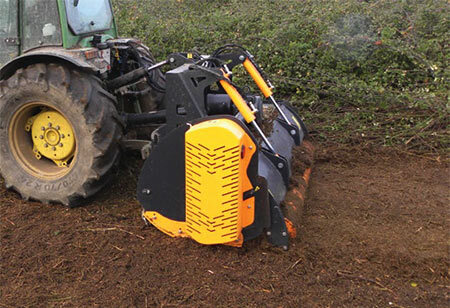 Ideal for pruning wild blueberries and preparing blueberry land. Unique design helps tackle tough jobs: Open rear hood for entry of large prunings or windrows of material. Close rear hood for fine mowing and mulching. 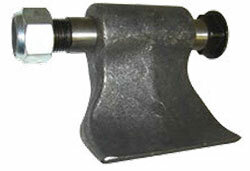 Massive 5 lb floating hammers with 27 mm (1-1/16”) bolts, the largest in the business. Massive 5 lb forged special alloy steel hammer, with 27mm machined bolt with lock in place square head; “BoltopTM System” and locking nut for heavy duty use and long life. Bolt and hammer are machined for smooth swinging movement without vibration. The face of hammer blade edge features secondary ridge to extend the life of the blade if an obstruction is encountered. Gearbox with integrated free wheel; 540 or 1000 RPM PTO. Replaceable bolt on “Mulching Bars” on the underside of the hood made of HARDOX® 450 steel to ensure long life and a fine mulched fiinished product. 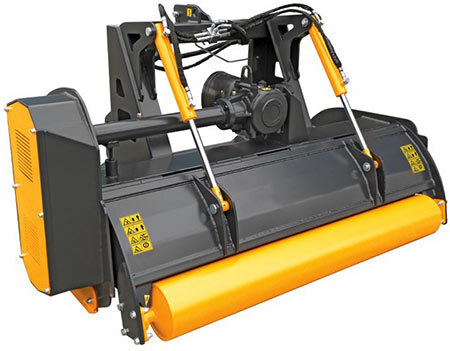 Hydraulic hood / cover with two hydraulic cylinders and built in full length rear roller. Welded main frame with double layer of high strength cold forming DOMEX® S700 steel. Cat II three point hitch. Heavy duty front chain curtain. For tractors 60 - 200 Horsepower.